Upper Deck Announces Details on the Biggest Hockey Promotions for the Biggest Hockey Show of the Year! 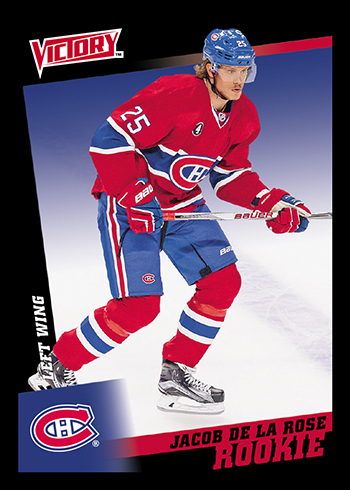 Hobby shop owners and collectors are bracing for the biggest year in collecting NHL® and NHLPA-licensed trading cards in over a decade. 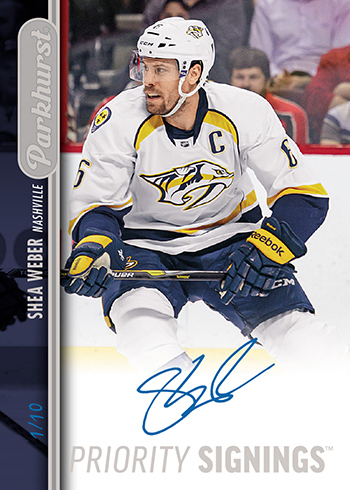 The excitement has been palpable as Upper Deck has already sold out of the first five releases of the 2015-16 calendar season (MVP, O-Pee-Chee, Artifacts, Upper Deck Series One and most recently Black Diamond) because of the strong rookie class this season led primarily by Connor McDavid. Recently the Globe and Mail did a story on the effect Connor is having in the industry thus far and Stephen Laroche from Beckett Media previously prognosticated what his presence may do for trading cards of other Edmonton Oilers players. 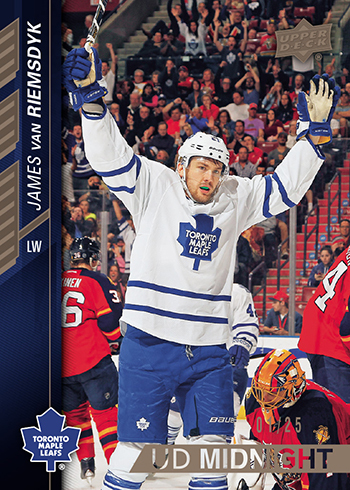 Connor McDavid’s influence on the NHL trading card category this season will be unrivaled. We have seen in year’s prior that when there is an event of this magnitude, collectors will jump ship from collecting other sports to the category that has the best values. Additionally, many lapsed collectors or fans of the game who have never collected before often look to events like this to get involved in the hobby. Upper Deck is determined to provide collectors, both new and old, with an incredible experience throughout this season and it all starts in early November at hobby shops in Edmonton and at the Fall Sportcard & Memorabilia Expo from November 6-8,, 2015. Upper Deck staff will be hosting two events in stores in the Edmonton area where they will be showcasing a variety of new Upper Deck Authenticated memorabilia for Wayne Gretzky while also running events around new Upper Deck NHL® trading card purchases. These are sure to be can’t miss events for hockey fanatics in the area! 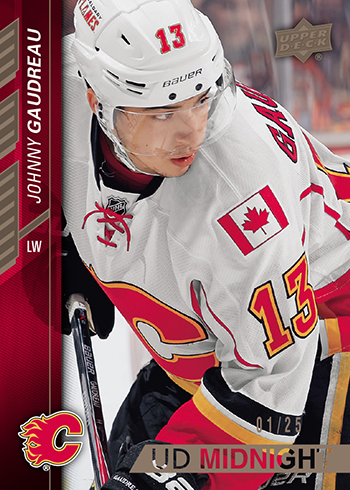 Tuesday, November 3 – 6:00-8:00 p.m.
Wednesday, November 4 – 6:00-8:00 p.m.
Upper Deck staff plan to drop in on other shops on Thursday, November 5 when 2015-16 Upper Deck NHL® Series One arrives in stores. 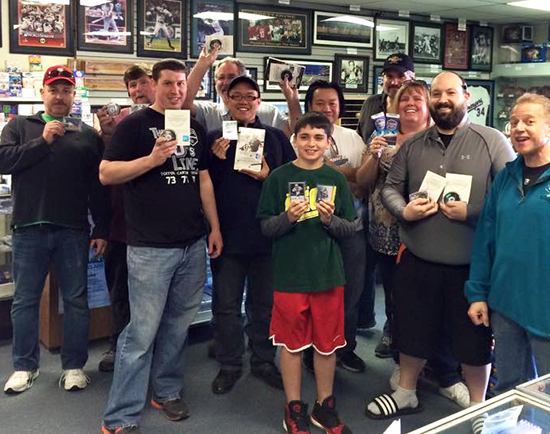 Collectors LOVE when Upper Deck staff visit their local card shops to share goodies with fans in attendance! Then all the focus moves to Toronto where Upper Deck will have a variety of activations and promotions allowing fans to score some of the first-licensed collectibles of 2015-16 NHL rookie class members like Connor McDavid, Jack Eichel, Max Domi, Artemi Panarin, Nikolaj Ehlers, Dylan Larkin, Robby Fabbri, Noah Hanifin, Sam Bennett, Malcolm Subban and more! For the first time ever at the Fall Expo, fans can score sealed foil wrapper redemption packs! 3. One Parkhurst Priority Signings autograph card (varied crash numbering to 75 or less) and don’t worry fans, these will NOT be hard to pull! 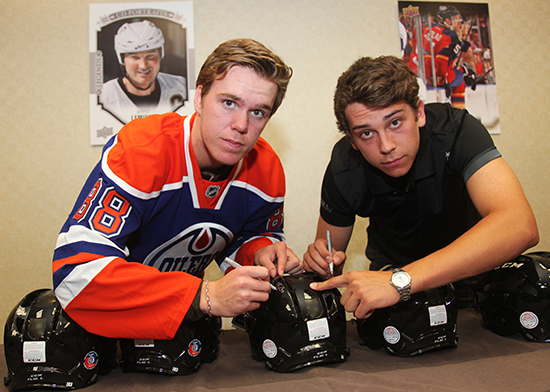 Collectors can score cool signed memorabilia items like pucks, pennants, gloves, sticks, drat hats and helmets from top prospects like Connor McDavid & Dylan Strome at the Fall Expo! *UD Fall Expo packs may contain show exclusive redemptions for exclusive memorabilia items available only at the show! This promotion will be open to fans ALL WEEKEND LONG while supplies last! 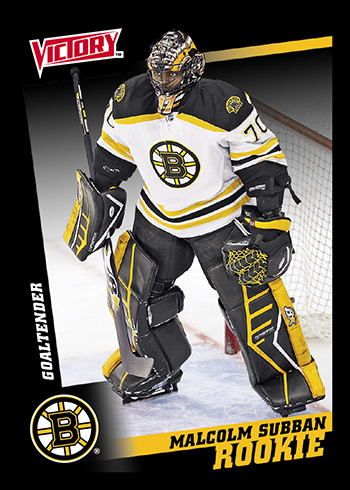 Upper Deck will also bring back the popular case-breaker promotion for premium products for a variety of extremely limited-edition collectible trading cards and Upper Deck Authenticated memorabilia. 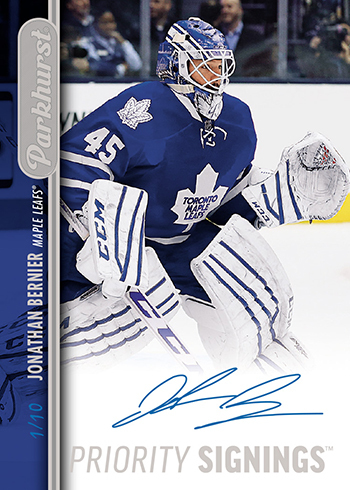 *14-15 NHL® Ultimate Collection & 2015 Upper Deck Team Canada Master Collection Box gets you DOUBLE THE CASE BREAK EXCLUSIVE! 8 UD Fall Expo Promo Packs, 2 Connor McDavid sets, 2 Connor McDavid/Wayne Gretzky SP3 cards and 2 bonus items! Free Raffles – Taking place Saturday at 3:00 p.m. and Sunday at 1:30 p.m.
Upper Deck is also proud to sponsor Kids Day at the Expo where kids between the ages of 6-12 can get into the show for FREE! 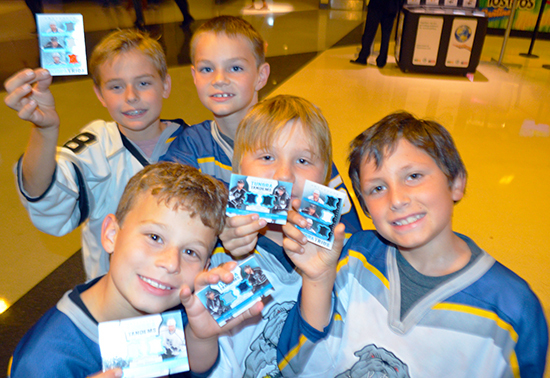 Additionally, kids will get a special voucher they can bring to the Upper Deck booth to receive a special bonus item! 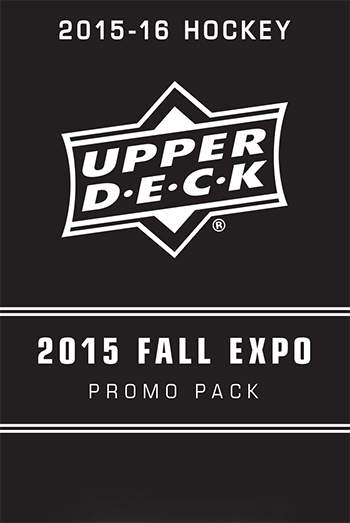 Upper Deck wants to give kids plenty of reasons to smile at the Fall Expo! If you’ve already made plans for the 2015 Fall Sportcard & Memorabilia Expo, good work! If you haven’t, you need to start making plans to attend now for what will surely be the most talked about shows in the last several years! Book your travel for the Fall Expo in Toronto today! Looks good as always. I’m curious if there will be any redemptions for 2015 Upper Deck CFL Football like there was last year? Can’t wait to get to the show, hope ping for some redemption magic! Se you there!